Ever since I was a little pup I just could not stand riding in the car. Even if it meant we was traveling to the beach, park, cousin Moby's or BFF Charlie's house. Every time I'd get in the car I'd drool excessively, puke and sometimes even pee cuz I was so scared. To help me with my anxiety, M&D bought me a special thundershirt. 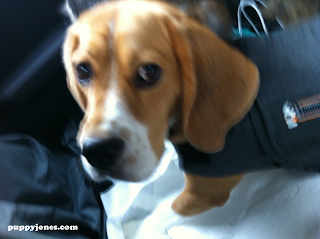 The thundershirt helped and soon I could ride in the car for up to 45 min without puking! Our vet also helped me with some homeopathic remedies. This is a pic of me with my thundershirt a few months ago. Can you see how upset I was in my eyes? Over the last few weeks I'm proud to say I made another breakthrough in overcoming my car anxiety. 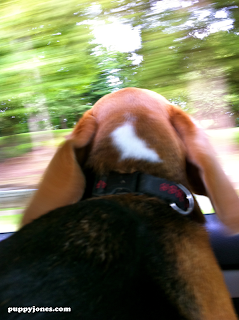 I recently discovered the joys of sticking my nose out the window. I realized I could smell lots of yummy things and it feels nice to have the wind blow in my face. 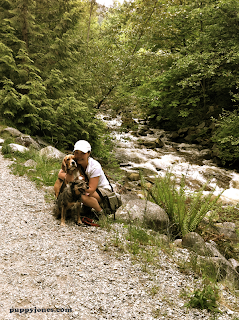 Today M&D took me and ZuZu out for a hike and they decided to try letting me ride in the car without my thundershirt. And guess what! I did it! I was able to ride in the car without my thundershirt and there was no drool, no puke, no piddling and I was still brave enough to stick my nose out the window! M&D are so proud of me and ZuZu is no longer rolling her eyes at how pathetic I am in the car. I'm so glad I'm getting better and pretty soon we'll be able to go on a big road trip! aroooooo! 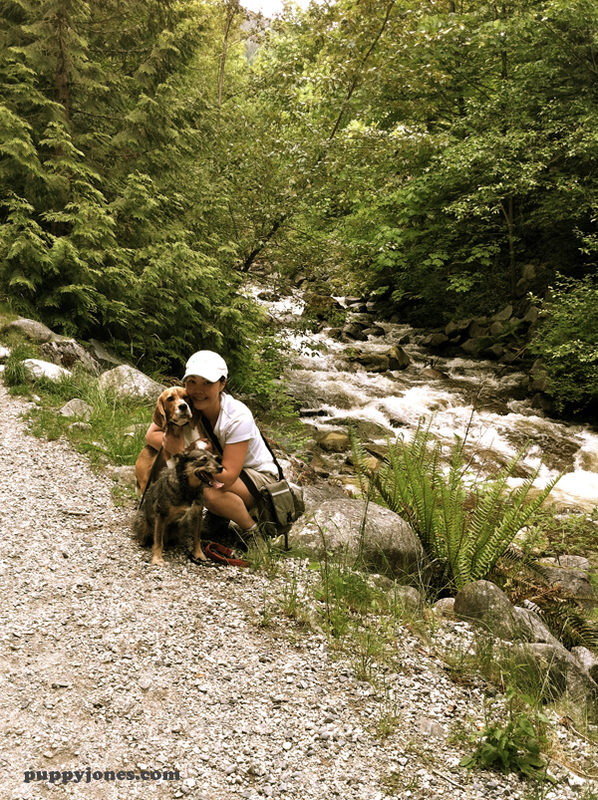 Here's a pic of me, ZuZu and Mummy on the trail today. Here's to many more car rides and road trips in the future!